The Oxford Martin Programme on the Illegal Wildlife Trade hosted a special seminar by Karl Ammann at the University of Oxford. 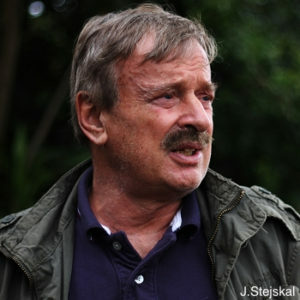 Karl Ammann, a conservationist and wildlife photographer, presented some of his investigative work on the illegal wildlife trade. Karl has been working in this field for 20+ years and produced various documentaries on a range of species and products traded internationally, highlighting the lack (and need) of concrete enforcement action. Most of these detailed investigations have involved apes exported from the Congo Basin to China. Richard Hargreaves, a UK based lawyer will also joined him to shed light on some of the legal aspects of these investigations.